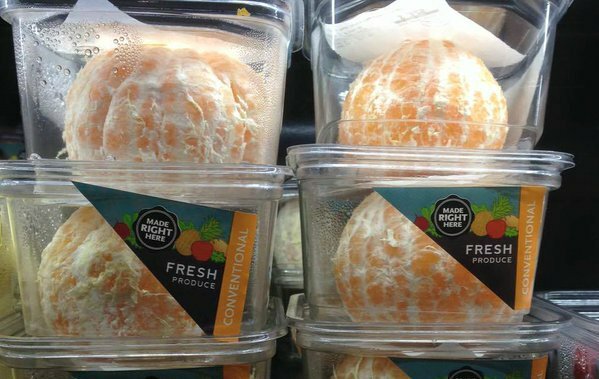 Whole Foods pulls peeled oranges in plastic containers off shelves after Twitter activism. This internet thing seems like it could have real potential. You probably know that since you’re reading this article on the internet, but in case you need another example, here you go. Hilarious, yes, but there is a larger point in the sarcasm. The abundant use of plastic is a serious concern. Discarded plastic is filling up landfills and literally creating pseudo landmasses in the oceans, like the Great Pacific Garbage Patch (though this 21 year old inventor has a plan to deal with that). Experts estimate that if humanity continues its current plastic use-and-discard behaviors, there will be more pieces of plastic in the ocean than there are fish. The Tweet about the plastic containers holding peeled oranges hit a nerve with the public and was liked and retweeted about 65,000 times. It didn’t take long for Whole Foods to take notice of this online firestorm. An impressive, and fast response from the large grocer. Proving the internet is a real thing. 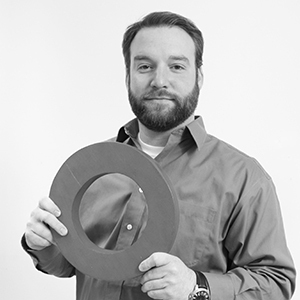 Though of course this being the internet not everyone immediately celebrated. @WholeFoods@awlilnatty yeah but it's helpful for people who can't peel oranges. @AlexCKaufman@awlilnatty I don't support the packaging, but I do understand the one argument for it. After Whole Foods' announcement, the person that started this all, Nathalie Gordon, got thrust into the middle of a debate on disabilities. My tweet about a @WholeFoods pre-peeled orange has absolutely nothing to do with disability @AnaMardoll, it's to do with plastic waste. Despite the raging debate (and some very aggressive attacks on Nathalie Gordon), it did seem that a – uh… small -- majority of internet users saw the plastic as more wasteful than helpful to people with disabilities. Accessible options for people with disabilities are important. Saving the planet is important. With a wide range of options for accessible foods, it is a win that Whole Foods would stop using excessive packaging. It looks like this internet activism thing is here to stay.